Welcome to the Mutual Engine & Hose Co. #1 Guestbook. Your feedback is important to us. Feel free to leave your comments. Hi YA Steve!!!! Hope you are doing well sir. We are surrounded by fire out here, 297,500 acres and climbing, will be the largest fire in CA history. Guest Name: James Tipa Jr. Location: Mt. 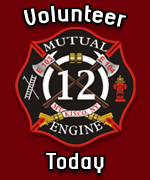 Kisco -Independent Fire Co.
Congratulations on your new website! Great layout, and nicely detailed information on MEH. Good luck with the site moving forward. Guest Name: Peter Hughes Jr.
Congratulations on the website. Looks good. Website looks great! Looking forward to looking at the stories you post!